Creating from cravings with my FAVS! 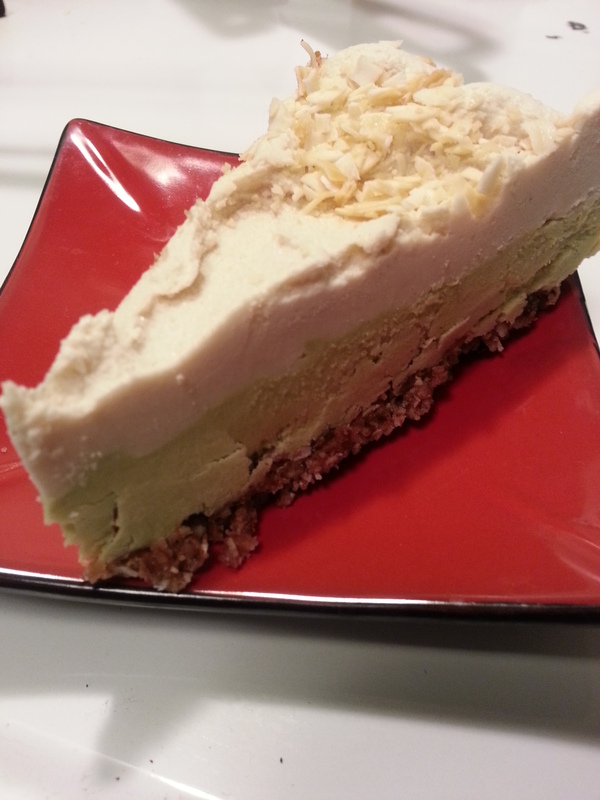 hellloooo COCOCADO LIME PIE! What’s a fresh coconut lovin’, daily avocado eatin’, and tart, yet sweet craving gal to do with so many raw ingredients and a strong desire to clean out the pantry in the new year!? Save a bunch of money by NOT buying my go-to raw foodie persian lime or lemon tarts and MAKE MY OWN… MY WAY! What I had : flesh of 3 young coconuts after sucking the water out of them in no time flat, a couple verrrry ripe stewart avocados from the farmers market, a couple limes…and various soaked, and dehydrated bulk goods like buckwheat groats, pecans, as well as some coconut shreds, date pieces, cashews…and a half eaten bag of RAW coconut lime-infused flakes. 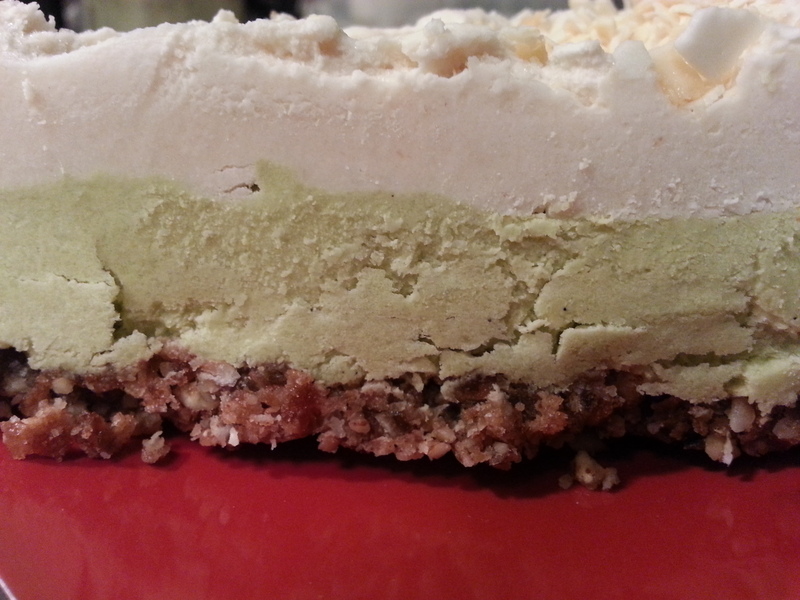 What does this all add up to… an overdue homemade RAW COCOCADO LIME PIE! 1 cup various organic dates. I like the harder chewier ones like Halawi & Honey dates/(soak a bit if needed). 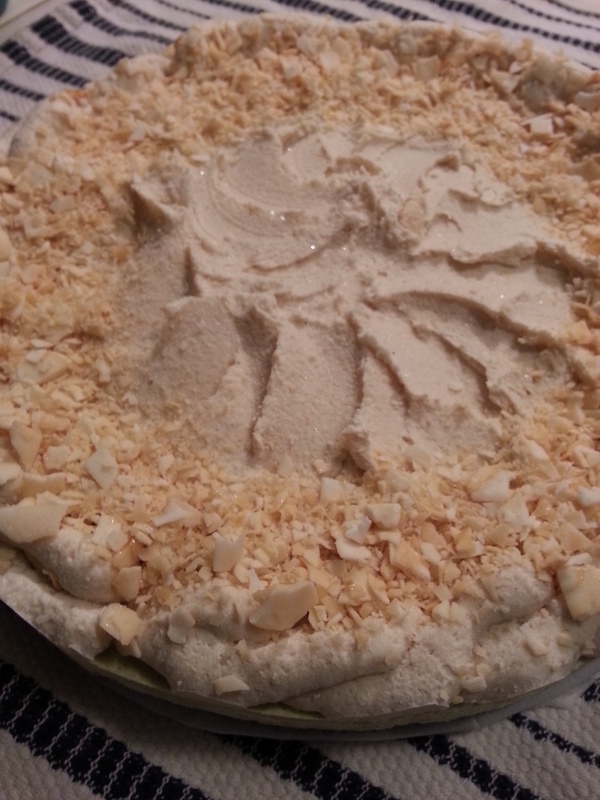 CRUST: process the nuts, coconut, and buckwheat in a food processor until crumbs. 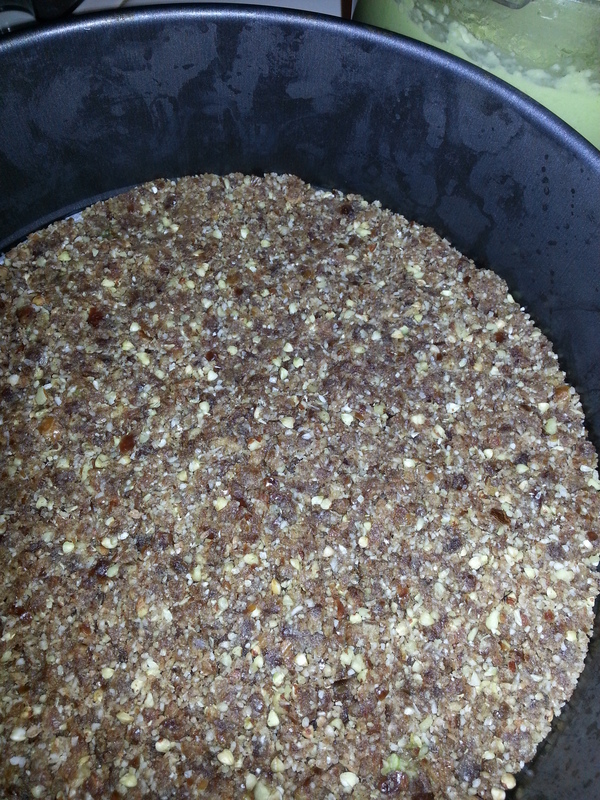 Add the sea salt and dates and process until the mixture gets clumpy. Press into the bottom and up the sides of a 6 inch springform pan. Line bottom with parchment paper in case you want to lift it off the base. in the freezer while you prepare the filling. 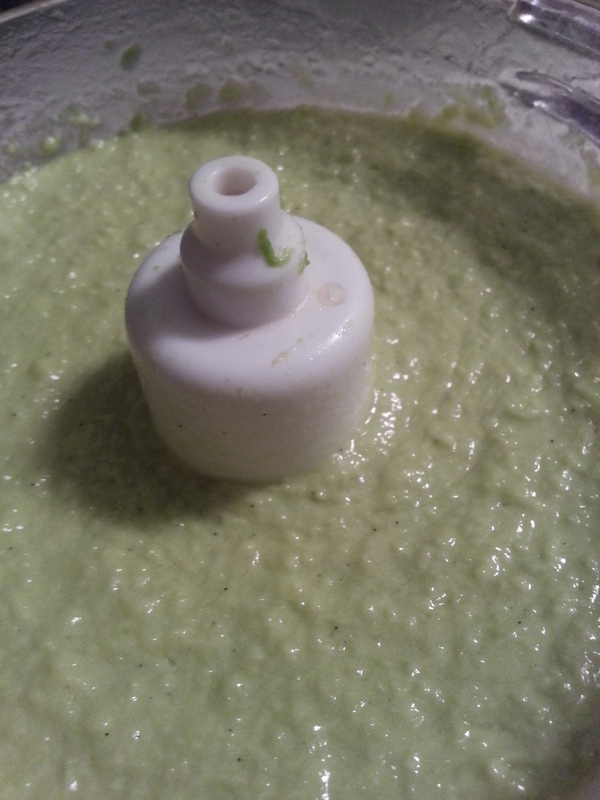 FILL-ME-CENTER: Process avocado, coconut meat, lime juice and zest, sweeteners, sea salt, and vanilla in a food processor and process until smooth. While slowly running, add the coconut oil and process for a minute, and then put up full blast and keep processing until smooth as possible or per your patience level! Fill the crust, and place in the freezer to firm for an hour. I realized that I could have put more avocados of meat in or used a smaller springform pan because my pie/tart was too slender for my hefty craving, so I made this frosting to make it more appealing. 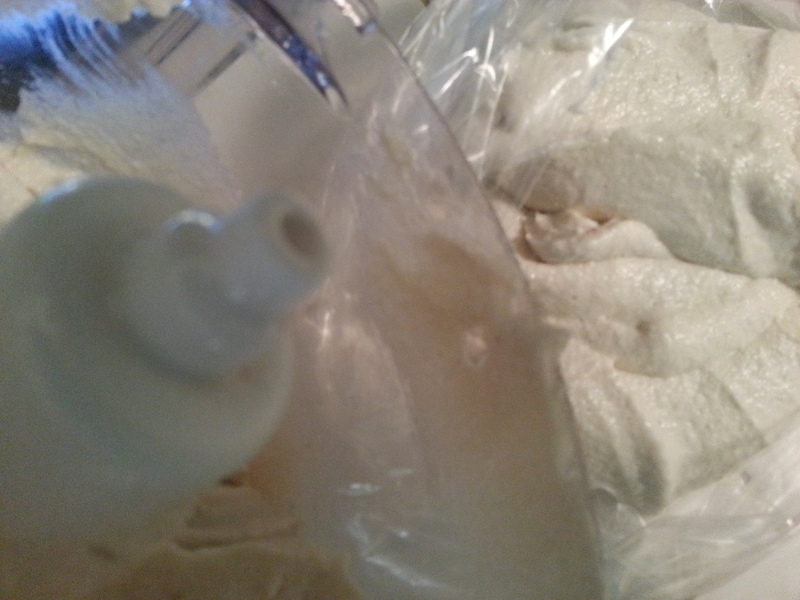 Process soaked cashews, coconut water, sea salt, agave, Luo Han powder, and vanilla paste until smoothly blended. As before, slowly drizzle warm coconut oil with processor running . Place the topping in the fridge or cool place until it firms up enough to frost the top as you want. If you have a pastry bag with fancy nibs, great…. Go super decorative.. 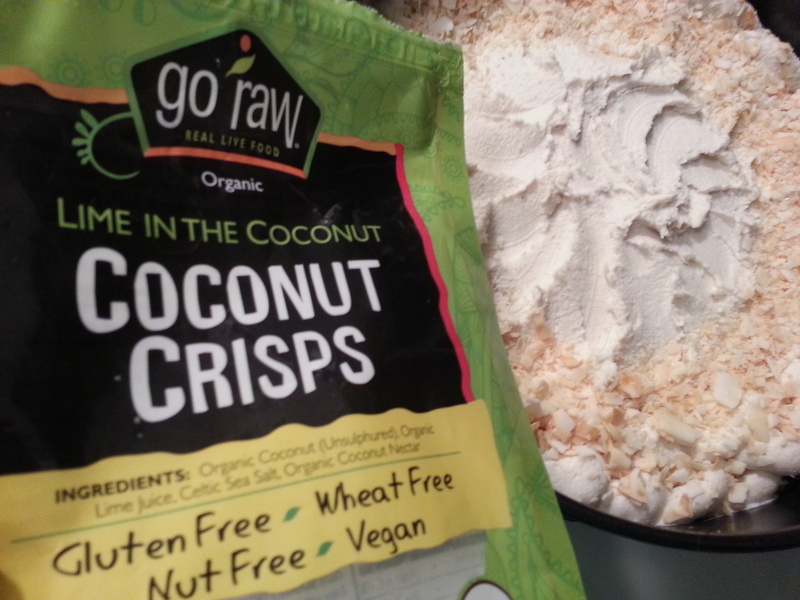 I just used my Vita-mix spatula to cover it up and sprinkled crushed RAW coconut chips infused with lime around the edges for more lime kick. Truly, honestly… I should have used key limes for the tartness I wanted, but this regular lime version satisfies my craving and my budget… and now I get to share my goodies with one of my raw food loving besties in the O.C.! I already ate 2 whole pieces…”M”–I hope you like your two pieces!! The slices needs to thaw out in fridge for a few hours or at room temp so it softens enough to enjoy fully. I ate the first piece while still frozen hard, but it was still good. Thawed and softened is sooo much much much more satisfying! 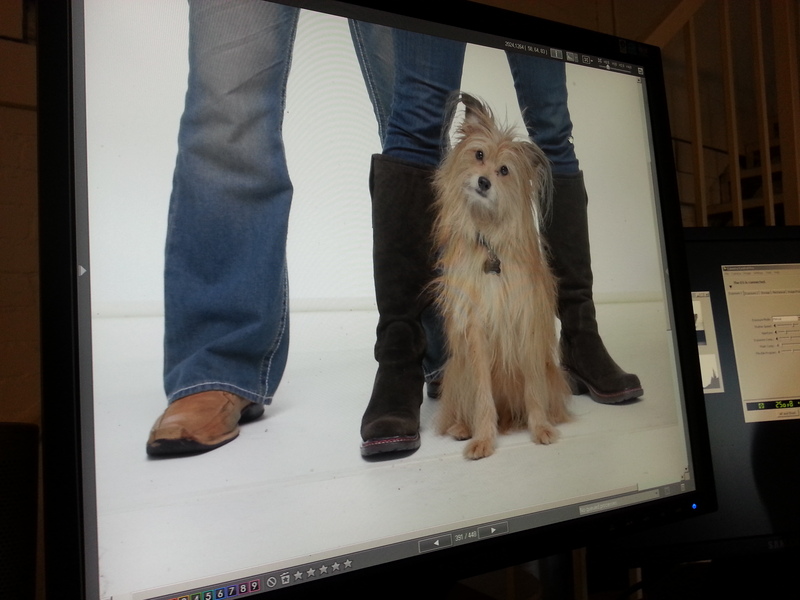 RSA – RSA Shorts – The Power of Empathy.